Elite Tornado Foosball Table | Fun! 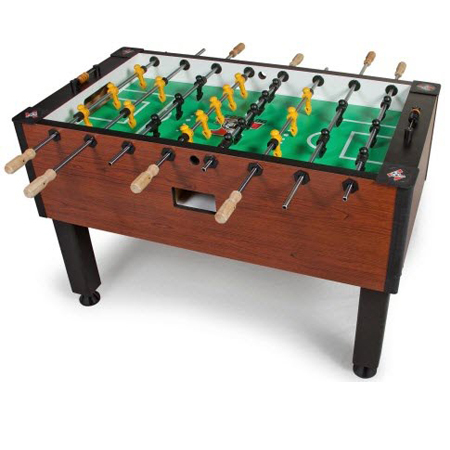 The Elite foosball table is a new table model that replaced the Cyclone II table in 2010. This table is a professional built table made for home usage. This beautiful table features dual side ball returns, heavy and lightweight rods and Tornado’s patented split bearings for easy maintenance and professional play quality. Includes redesigned player foot which allows more precise ball control with higher cross hatching and square sides. A new thinner inner bearing design does not allow the ball to be passed between the man and the wall. Patented rubber bumper player and rod guarantee super-fast durable play.